Completely updated! Incredibly comfortable! Tons of seating on deck! Location!! Brand New Everything! Gorgeous 3/2 Gulf Front Corner Unit! Gorgeous Views! Beautifully Updated and Decorated Gulf Front 3/2 Condo! Heart of Gulf Shores, AL! Gorgeous 3BD gulf front corner condo in perfect GS location! Walk to Hangout! Just Redecorated - All New Everything! Coastal & Comfortable! Walk to Dining! Recently redecorated! Updated, clean and comfortable! Walk to all of the GS fun! Perfect GS Location! Walk to everything! New to rental program - great updates! Gorgeous! Completely remodeled - all new everything! Be the first to enjoy! Beautiful views from corner, beach front condo!! Low floor! Walk to everything! Brand New Rental! Updated! Great 5th floor beach front location! Walk to dine! Beach front, clean, comfy, updated, and with a fabulous location! Gorgeous views! Pacific coast style meets Gulf Shores! So gorgeous! EVERYTHING is brand new! Updated with fun coastal decor! Corner unit with goegeous views! Clean, comfy! Brand new rental! Recently updated with new furniture! Comfortable and stylish! Seawind 508: Updated, clean, tranquil 3 bedroom beach front condo! 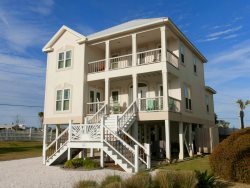 Located in the heart of Gulf Shores! *New Rental* Recently updated, super clean! 4th floor level! GREAT location! Seawind Condos - Gulf Shores , AL - Beach front, recently updated , location!